JCU Press is pleased to announce the publication of the English translation of Five Lectures on the American Civil War by Professor Raimondo Luraghi, one of the most important European authorities on this period in American history. The event was hosted by John Cabot University in conjunction with the Guarini Institute for Public Affairs and the Mexican Embassy in Rome. JCU Political Science Professor Lars Rensmann gave a talk at Leibniz University in Hannover, Germany, on Thursday, November 22, 2012. John Cabot University is pleased to announce the inauguration of the JCU Institute for Entrepreneurship, which will take place on Monday, November 26th at 6.00pm in the Aula Magna Regina, John Cabot University, Via della Lungara 233. 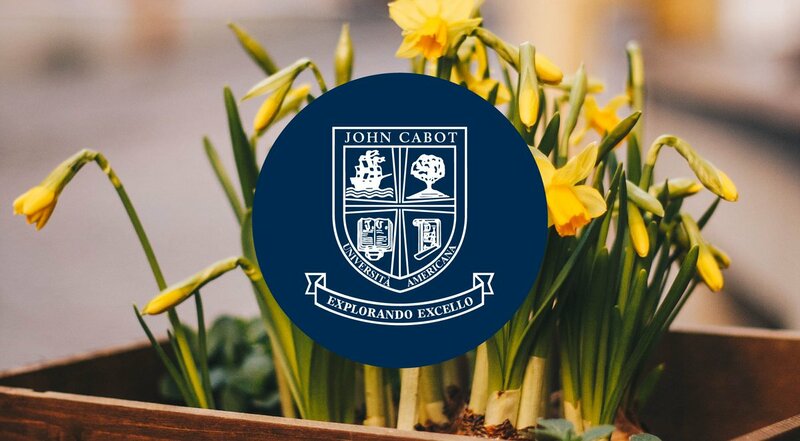 John Cabot University is pleased to announce that its Board of Trustees has voted unanimously to renew Dr. Franco Pavoncello's mandate as President for the next three years, until June of 2016. Italy Reads Goes to Naples! On Friday, 9 November six Italy Reads 2012 Volunteers together with JCU Prof. Elizabeth Geoghegan traveled to ISIS 'E. De Nicola' in Naples for the second visit between students in the framework of the Italy Reads 2012 program. On Thursday the 8th of November Mr. Edoardo Secchi, Founder and CEO of "Italie France Group", came to visit JCU and to share information on his business experiences with interested students, faculty and staff. The Business Administration Department and the JCU Institute for Entrepreneurship are pleased to announce the introduction of a Minor in Entrepreneurship. John Cabot University President Franco Pavoncello was recently interviewed by Bloomberg Businessweek Television on the recent regional vote in Sicily and the outlook for Prime Minister Mario Monti's government.